Sullivan Stapleton is a successful Australian actor who has found plenty of success with his powerful performances in both films and television. He is best known for his starring roles in television shows such as Neighbours, The Secret Life of Us, Satisfaction, and Strike Back. In 2014, he portrayed the character Greek leader, Themistocles, in the film 300: Rise of an Empire. He began playing one of the lead roles Kurt Weller in the NBC crime drama Blindspot since 2015. Sullivan Stapleton was born on the 14th of June 1977, in Melbourne, Victoria, Australia. He is currently 41 years old. Unfortunately, very less is known about his early life including his family background and educational qualifications. There isn’t any information available about his family like his parents’ name. The only thing that we know about his personal life is that he has two siblings, a younger sister, actress Jacinta Stapleton, and a younger brother Joshua Stapleton, who is also an actor. Stapleton attended Sandringham Secondary College in Sandringham, Victoria, Australia where he studied acting, He also got training in acting at Melbourne’s St. Martin’s Theatre. Stapleton’s romantic relationships have been fascinating and intriguing as his debonair looks and charisma. His dating history has been written over the names of several women. His first publicly known relationship was with actress Carla Bonner whom he dated between 2007 and 2008. That same year, he got hooked up with with Jo Beth Tailor, a well-known Australian actress, singer and TV presenter. They broke up in 2010 despite several rumors cited about their marriage plans, but apparently nothing worked out for them. According to sources and fan theories, Sullivan is in an intimate relationship with actress and his “Blind Spot” co-star Jaimie Alexander. The news of him dating the actress surfaced only when the two kissed each other on-screen. They have not yet responded to the rumors, but they are professional actors and a kissing shot isn’t going to lead to a relationship for sure. After several more minor roles, he landed his first significant role as Craig Cody in the movie, “Animal Kingdom”. The film emerged as a major success in terms of both box-office collection and critical acclaim, winning the Grand Jury Prize at the 2010 Sundance Film Festival. For his work in the film, he received a nomination for Best Supporting Actor at the AACTA Awards. It was only after this Academy Award-nominated movie, he has made the leap to international fame and recognition, leading to roles in Hollywood movies. Stapleton played the lead role of a Greek leader Themistocles in the film “300: Rise of an Empire” in 2014. His performance in the film was widely appreciated. He received multiple nominations for playing the character Pommie in the 2014 Australian thriller film, “Cut Snake”. That includes AACTA Award for Best Actor in a Leading Role, Australian Film Critics Association Award for Best Actor and FCCA Award for Best Actor. Some of his breakthrough performances that made him a household name include Neighbours, The Secret Life of Us, Satisfaction, Strike Back and Blindspot. 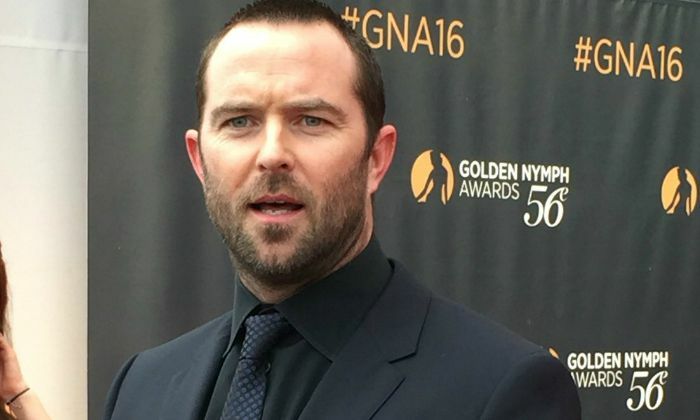 Sullivan Stapleton has earned a net worth of $3 million from the lucrative acting career. He is one of the highest paid actors in the industry. Apart from acting, he is also a flourishing entrepreneur having invested in various businesses. His empire include his restaurant chain called the “Fat Stapleton Burger” chain in Canberra, and owns a Football Team called the “Melbourne Angels”). The actor has his own brand of Vodka called Pure Wonderstapleton in Australia. Sullivan Stapleton began his professional acting career when he was 8 years old. He joined a modeling agency and was booked for several modeling assignments. He earned his actors’ union card at the age of 9 years old. His early work includes modeling, cleaning animal cages in a pet shop, and worked as a grip on many TV productions and films. A grip is the one who takes care of camera equipment. Stapleton co-starred opposite Lena Headey in the movie 300: Rise of an Empire, which is the sequel of 300. Sullivan resides in Canberra, Australia.